Boat salvage auctions present those wanting to get down and dirty an inspiring reason to get up in the morning. There are incredible bargains rendering DIY's a way to earn a quick source of sweat equity....but only if you're able to locate them. Lucky for you I've put in quiet a bit of time (more than I care to admit) sifting through trash to find legitimate sources. I think it goes without saying that boat salvage restoration is best done by experienced DIY's. If you're considering buying salvage it's a good idea to know the kind of work your going to need to put forward before jumpin' in. The process should be as rewarding as the finished product. But back to finding salvaged vessels..
A helpful marine auctions finding tool that offers boat salvage auction sources can be found at Boat Auctions Direct. Currently this resource is one of the highest rated online auction databases with respect to boats and marine equipment. It's frequently updated allowing you to bid on bank repos, Gov't auction assets as well as state wide and local listings. They're one of the only focused, asset specific sources available today. This is especially true if you plan to "flip" a restored salvaged boat for a profit. But the rewards can be monumental. If you don't want to get your hands dirty you can still minimize the restoration costs by using someone who can cut you some slack on the repair costs. Whatever "rough estimate" you get, your response is, "That's not good enough". And let him talk. Any type of salvaged item poses a maximum risk reward opportunity. For the risk-averse there are other alternatives to finding deeply discounted boats that I'll mention later. A word to the wise is to be on the defensive when entering into the salvage boat auction arena. The problem with salvage boats sold at auction is that there are definitely unethical salesmen who simply resell boats after they've only made a few cosmetic improvements. It's not uncommon for dealers to accept a boat on trade yet don't find out until later that they've bought a real piece of work...literally. In some cases dealers will instead of getting stuck with a money pit, pass the problem on again to someone else without revealing the boat's history. You can avoid the same mistake by getting a surveyor to inspect it or if that's not possible at least to come along with you to the auction to give you an honest take of the boats condition. Nonetheless, boat salvage auctions can render an incredible opportunity towards buying a boat, boat parts and equipment at rock bottom prices. If you're not afraid of doing some serious scrubbing and have first hand knowledge as to what the repairs will cost ahead of time you can potentially save or make thousands. Insurance companies are a good source. But salvaged boats are often quickly sold by insurance companies to local boat yards or boat dealers in hopes of recovering much of their loss in financing the boat. They're motivated sellers as they obviously have no room on their lot to put it up for sale. This is why you won't find boats or cars in your local insurance company's parking lot advertising their latest repo's for sale. It's just not their business. The following boat salvage auctions below are what's currently available online and off from Florida to California. Please note that some boat salvage auctions as with most motor vehicle salvage auctions are limited to licensed vehicle dealers and dismantlers. BoatAuctionsDirect.com again gets my latest vote as perhaps the only legitimate auction database that actually offers an extensive and updated database of local boat auctions and surprisingly boat salvage auctions. This site unlike many member based data banks keeps things organized and simple. What I've previously had to dig for, I now get spoon fed: salvage, police, and bank auctions that are both locally and regionally organized. You have the option of bidding online for most of the inventory you see including: seized mustangs, bass boats, foreclosed homes, abandoned storage shed items, ATV's and about any other conceivable asset. But of course you'll want to inspect the big ticket stuff. It's member based but worth the one time fee. Plans4Boats.com is a great resource for all you DIY's. We're getting great feedback and reviews on these boat building blue prints. Daniel Holden is an architect and boat builder for 20 years and released several hundred of his best boat plans for dirt cheap. 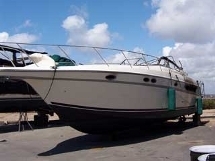 YachtSalvage.com has relevant and reputable boat salvage auction site specializing in the purchase and sales of damaged Yachts, Boats, and boat parts under unusual circumstances. GovernmentAuctions.org has been featured in various news media for its auction database resource. Their 1600+ auction database tracks Government and Police auctions by state and territory. It doesn't offer the depth of marine assets like Boat Auctions Direct of course. Nonetheless, it does offer a broader base of seized items including jewelery, furniture, equipment, computers, and other Government seized assets. All are regularly auctioned off for whatever the local government agency can get. eBay! of course is the KING of all online auctions sources. After registering for free on Ebay, you'll get access to motor auctions at ebay motors where you'll find a dedicated category of all types of boats and water crafts up for auction that includes boat salvage auctions...Click here for eBay! Salvage Direct is an up and coming online auction house that carries a salvaged motorized inventory that includes salvaged boats and water crafts. Bidding is limited to licensed dealers or dismantlers. US Auctions.com has online NO reserve auctions specializing in the sale of insurance salvage, storm damaged and liquidated boats. AssociateMarineSpecialists.com is a liquidation and salvage auction company specializing in the recovery of boats, planes, cargo, and marine equipment. BoatUS Marine Insurance Company allows you to complete a form that will enable them to notify you when Salvage Boats for Auction or Sale come available. SalvageService.com has a unique auction site that makes the claim to be the "world's quickest and easiest salvage site!" Site auctions off Damaged, Surplus or Off-Spec Materials, boats and water crafts included. MarineBidExchange.com is #11 right now as it is in the making. MBE allows insurance companies, banks and private owners to setup boat salvage auctions to solicit the highest bid for damaged, repossessed and/or distressed vessels. Auction are open to Salvage Boat Companies as well as the general public. bank repo boats, or neglected privately-owned boats but not so extensive as to be deemed salvaged. Considering these options may relieve you of a lot of work as well as possible boat financing problems you may encounter at boat salvage auctions. Keeping your eyes and ears open for highly motivated boat sellers maybe the smartest avenue to finding a "gem" These are the owners that joke about a boat having only two good days....(the day it's bought and the day it's sold). Often they'll just take what they can get. Also, look for sellers who have perhaps already purchased a second boat, are in the process of relocating, or can't afford current payments. Ask questions to discover these motivated owners as they can present you a great buy. By the way boat insurance companies don't exactly jump and scream about insuring your salvage boat auction "gem". It can present a challenge although it's not impossible if you can find any flexible insurance companies. Check out these boat insurance companies as they frequently deal with salvage boats offers.